Why are we doing the survey? Despite news that the Middle East should see the flattest increase in construction costs, profit margins are continuing their downward trend, with most firms averaging between 4 - 7%. This is in marked contrast to the old days of 20 - 25%, but still higher than many developed markets (1.5 - 2%). Even during market downturns, GCC contractors and subs are being more selective about projects. So how are companies approaching sales, bidding and tendering in today's construction environment? That's what we hope to share with you in a ProTenders report coming next quarter. 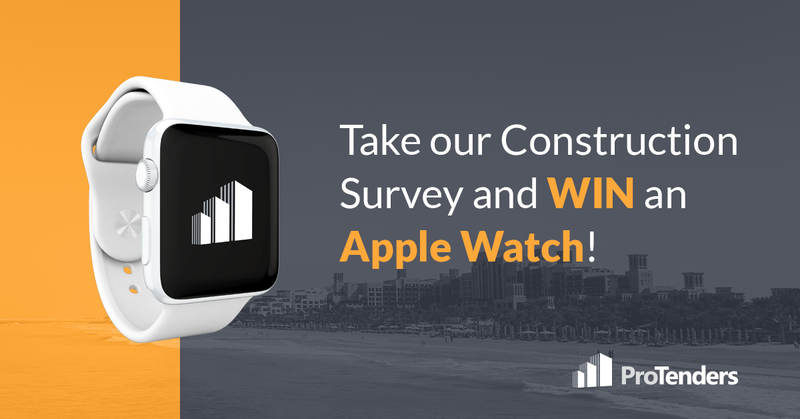 Complete 1-minute survey and you could win an Apple Watch!